The Rook gives would be police officers an immersive view of their prospective job. With police departments around the country facing one of the lowest recruitment numbers on record, a California police department has harnessed the power of Virtual Reality (VR) to meet its recruiting goals. Dubbed “The Rook,” the three-part immersive series gives viewers a chance to live life as a police recruit, and then rookie in an epic, adrenaline-inducing journey through boot camp, motorcycle training, K-9 handling, SWAT hostage rescue and even an aerial patrol across Los Angeles as a member of the El Segundo Police Department. 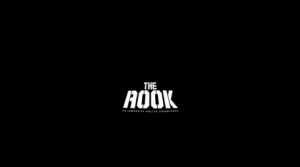 Produced by Holor Media, Inc., a cutting-edge VR company based in Hollywood spearheaded by former Disney, Pixar, and ILM executives, The Rook was shot with realism and authenticity in mind. Director Brian L. Tan (“BLT”) believes the series could be a recruiting game changer. “Unlike most 360 videos which are passive, fly-on-the-wall experiences, The Rook was filmed from a first-person point-of-view, giving viewers unprecedented interactivity and engagement close to the real thing,” he said. Since the release of the video, it has garnered thousands of views and the department hopes it will reach its goal of bringing more officers into the fold.